The Cavaliers of Mars Kickstarter is hurtling toward its final hours and we had the chance to catch up with developer Rose Bailey for a few quick questions about this new project as part of Onyx Path Publishing’s Many Worlds. One Path. line-up of excellent RPGs. Cavaliers of Mars Kickstarter is a swashbuckling adventure setting from Rose Bailey, longtime developer of Vampire: The Requiem and other World of Darkness titles. Cavaliers draws inspiration from pulp fantasy and historical fiction, adding a modern edge and an exotic setting. As we (that is, Michelle Lyons-McFarland, co-owner of Growling Door Games, and I) started to plan out our proposed sourcebooks for Chill 3rd Edition, I noticed that one thing the 2nd Edition had promised but never produced was a book called The Living Dead. We started thinking about how that might work with our vision of Chill, and we realized that, if you’ll pardon a bit of metaphor, grave dirt is fertile soil for horror. In planning out the book, though, I realized a couple of very important things, and they both stemmed from the same thought: the undead are ghosts with bodies. Before I get to the two epiphanies I had about outlining and writing the book, let’s unpack that thought a little. Canals on Mars? 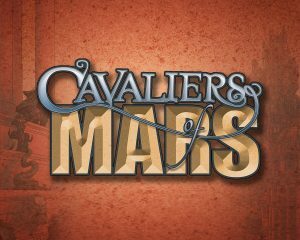 Check out the Cavaliers of Mars Kickstarter! Return now to dying Mars in its last age of glory. A planet of flashing swords and choking sands, of winking courtesans and lantern-lit canal cities. Mars, where fortune and heartbreak are two sides of the same obsidian chit, where lost cities and dry oceans stretch between the last bastions of civilization. Where the First Martians, the monument-builders, are but a haunted memory. Where the Red Martians become decadent and reckless in their last days. Where the Pale Martians rule the wastes, remembering a history whose weight would crush a lesser people. Chronicles of Darkness: Dark Eras 2 starts out presenting a chapter for each of six historical eras; each of which features two Chronicles of Darkness game lines which include Vampire: The Requiem, Mage: The Awakening, Hunter: The Vigil, Changeling: The Lost, and more! The rules in this book are compatible with second edition Chronicles of Darkness. Greetings and salutations fans of explosions, plagues, floods, fires, and alien invasions! Yes, that’s right. I am talking to you, oh fans of Michael Bay, who love disaster stories of every shape imaginable. Lean in for a super special announcement! Heebie Jeebies is a card game of “unsettling notions” designed by Dave Cook. Don’t be fooled by the smiley faces! The game, which I describe as a cross between a tell-all game like Truth or Dare with a Garbage Pail Kids flair, has been announced through crowd-funding source Kickstarter. The Heebie Jeebies Game Production Kickstarter has a few weeks to go yet for its goal.